Starting counseling can be overwhelming for you and your child. It’s important that they know what is happening and don’t feel blindsided by starting with a counselor. 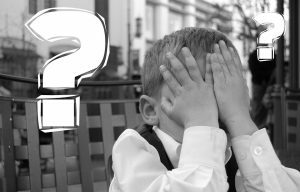 How do I explain starting counseling to my child? Set aside some time to have a private conversation with your child. 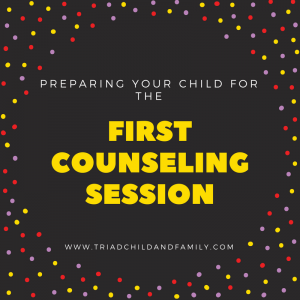 It’s important to be honest with your child or adolescent about starting counseling and the reasons why. Briefly in a couple of sentences, talk about the challenges that your family has been having and explain that you decided to ask for more help from a counselor. Tell them when the appointment will be, my name, and you can even show them the counselor’s website to see pictures of the office and the therapist (at Triad Child & Family these are located on the main page). Ask if they have any questions, thoughts or feelings about seeing a counselor. Younger children may be told that it’s like visiting the doctor but with lots of toys, and no exams or shots since this is their only reference point for counseling. For adolescents, it helps them to know that the counselor is someone that they can talk to and discuss things they don’t feel comfortable talking to others about, even their parents. Remind them the morning of the appointment of the details you already discussed. Be open to answering more questions that may have arised and empathize with them on being a little nervous about starting something new.